In the 1960s, as the Civil Rights movement shocks American to its core, Second World War veteran Reggie Atkinson sees his teenage son Lee drawn into the dangerous battle for racial equality - and fears for him. 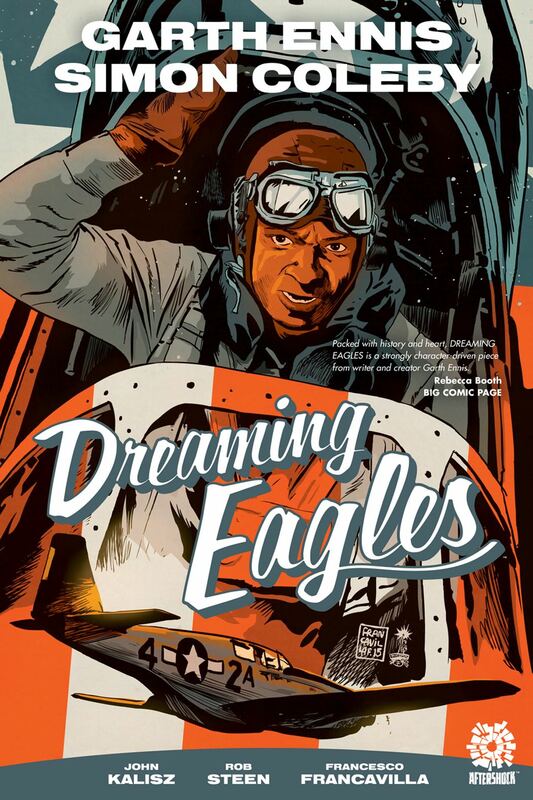 Twenty years earlier, in an unheard of place called Tuskegee, Alabama, cadet officer Atkinson and his comrades report for pilot training to fight in the war-torn skies of Adolf Hitler's Fortress Europe, forging a legend that endures to this day. This is the story of two generations fighting their own battles and conquering all obstacles in their path. This is the previously exclusive New York Comic Con variant edition, complete with dust jacket and a variant metallic brush cover. Limited to only 200 copies, all signed by GARTH ENNIS and sequentially numbered. From writer Garth Ennis (Preacher, The Boys, War Stories) and artist Simon Colby (Judge Dredd, The Royals, The Authority).